This episode introduces the incredible story of Laszlo Polgar, and his three daughters, Susan, Sofia and Judit. We outline Polgar's belief that genius is not something you are born with or have a natural talent for, but is educated and trained over time with practice. 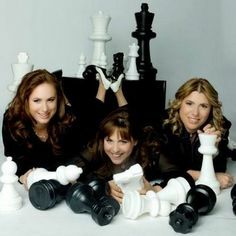 This story outlines the results of Polgar's experiment to make his three daughters into chess geniuses.